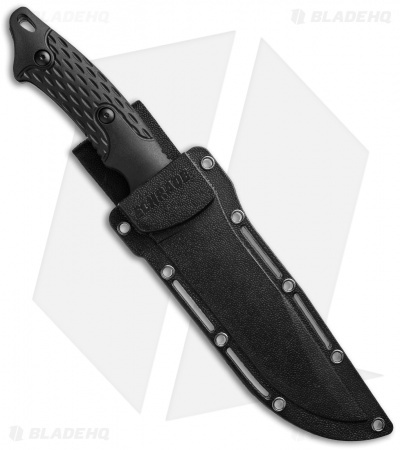 Whether you're slashing your way through a cardboard jungle or a real one, this fixed blade knife from Schrade is an excellent tool to have on hand. The black coated, clip point, stainless steel blade has the power and stamina to get the job done. The full tang construction gives you added strength, and the TPE handle scales add a comfortable cushion to your grip. 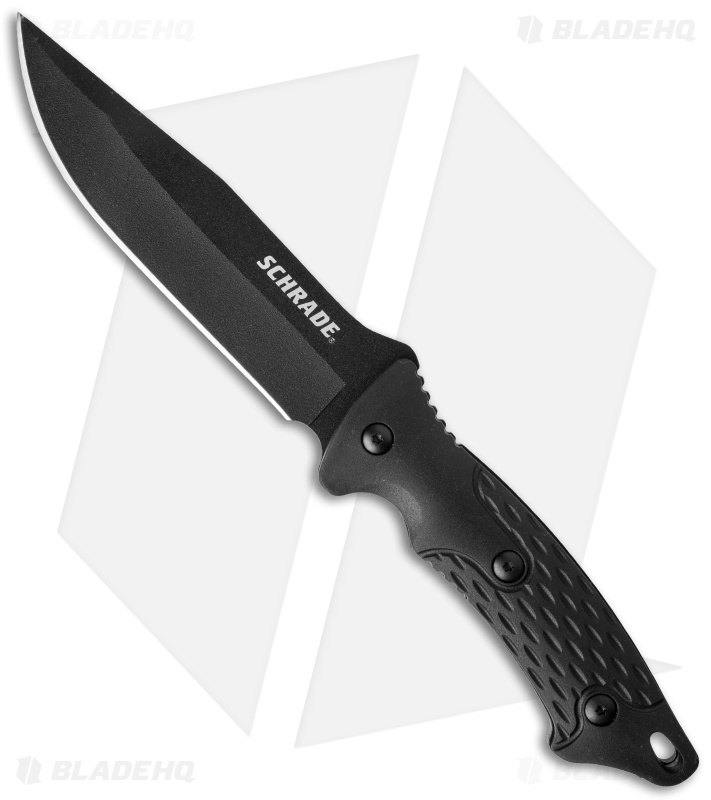 Comes with a lanyard hole in the handle, and a Thermoplastic molded sheath with attached belt loop so you'll always have this excellent blade close by when you needed it.